#MyThoughts: Is the mind really responsible for all that one does? And how far can you go controlling your mind? ‘Demons in my Mind’ by Aashish Gupta has left me pondering with these thoughts. The dark stories of the three monks leave Dakshesh gasping, but there is something about their dishonorable lives that relieves Dakshesh from his pain. An old man on his death bed, suffering from a terminal disease, has one last wish – to meet with the three monks. He believes that an encounter with the spiritual geniuses will liberate him from his physical sufferings and help him attain salvation. What he discovers upon meeting them will transform his life, or let’s just say his last breaths, since life really is out the door for him. Monks or Murderers? Each one has a dark past and as they unveil their histories to Dakshesh, will he find what he came looking for? Perhaps not! Dakshesh, on his death bed, has one last wish – to meet with the 3 monks. He believes that sound advice from the monks alone can alleviate his physical sufferings. The humble villagers from his neighborhood bid him goodbye at Kathmandu where the monks are believed to live. The three monks – Rizwan, Murli, Joseph – make appearance before the old man and on hearing his plea to liberate him from his suffering, begin with their own histories of how they come to be monks, formerly abominable criminals. Rizwan, as a young boy, is driven to madness by the cruel harrowing of a certain priest to whom his parents are indebted. In a fit of fury, he ends up murdering not only the priest but his parents too. Murli, a renowned artist, is defamed by a woman whom he considers his muse. He resolves to avenge her and mercilessly defiles her, kills her and exhibits her to his audience thus exacting his revenge. Joseph is in love with Ira. But Ira forsakes Joseph for her heart’s calling – social work for liberation of criminals. When a tragedy strikes, Joseph is transformed for the worse. As fate would have it, they are left to the mercy of a homeless girl, Alia, who is held captive by a Mr. Roy, who would test Alia’s patience and only her will and courage to endure his hardships will determine the end for Murli, Rizwan and Joseph. The Plot. It is well thought-through. The narratives flow seamlessly from chapter to chapter. It is not so much about the main story but the subplots that form the core of the story. They are dark, gross, and quite unbelievable at times, for the author has tried too hard to put all the pieces together seemingly trying to portray that ‘one bill fits all’ suggesting all heinous crimes are nothing but a harvest of the uncontrolled minds. That the mind is whole and sole responsible for whatever acts one attempts is at the core of this book but somewhere, the messaging resorted to, fails in establishing that. The characters. They are dark, grisly (for the lack of a better word), revengeful, and a particular character, Roy, is devil’s own sidekick for he is exceedingly torturing and horrendously merciless. Although, there is enough meat to each one’s disposition, they seem farcical and mere puppets forced to play parts. Their behaviours lack authenticity and that makes it hard for the reader to like them. That said, not once will you stop appreciating just how well the author has set their stances in their given mental conditions. The writing is impeccable, that and his style is what kept me driving till the end. 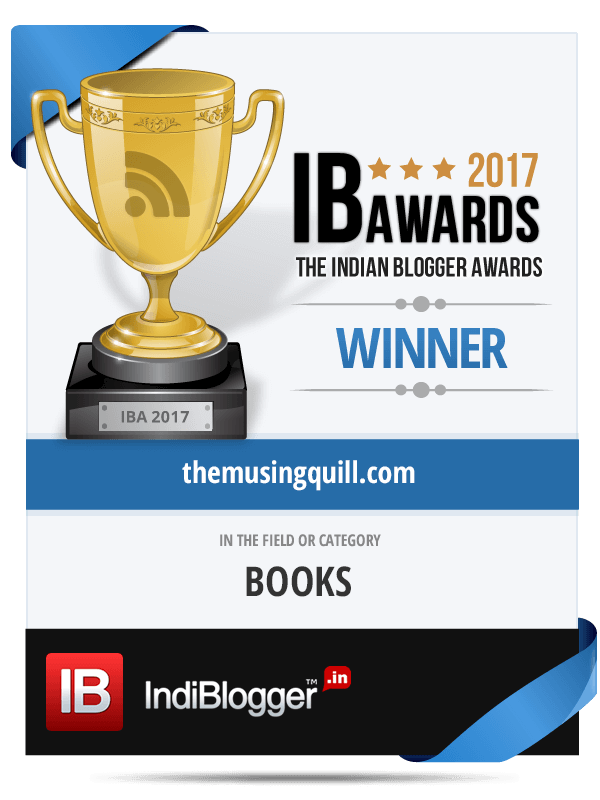 Coming from an Indian debut author, I congratulate the author for achieving a feat most debut Indian authors I have encountered, fail miserably at. His extensive vocabulary and the imagination that has fuelled suspense scene after scene is worth a mention. Although, there are scenes that are narrated via poetry that seem a shade overdone, and multiple typos spoil the fun, you don’t wish to stop till you have finished reading. But if the book’s purpose was to establish a connection between mental illness and crimes, it only bleakly manages that. If you happen to read ‘Demons in my Mind’ or have already read it, do share your thoughts below. P.S: I received a review copy from the author but the review remains unbiased. You can buy your copy here. Do read, Manuel. You may even like it. I will as soon as I have a second. How are you Asha? Always. I only write what I feel, unlike some readers who make it sound like cotton candy sweet even if it’s not, and that’s so unfair to the writer. Very different to the majority of Western crap that gets released of familiar murder stories etc. Right you are, Fionn and that’s what makes it pursuable. I think I will have to check this book out. Thanks.